Annuities are a popular retirement planning device. According to Investment News, sales broke a record in 2018. Yet, they continue to be misunderstood. There are several types of annuities, with fixed, fixed indexed, and variable being some of the most common. Unfortunately, annuities are so complex, that salespeople often have difficulty communicating their values and shortcomings to clients. 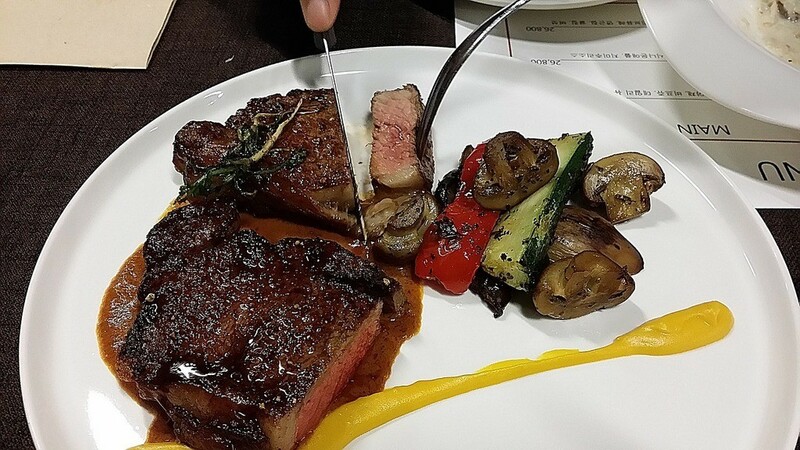 It is sometimes said, humorously, that the greatest value of an annuity is the steak dinner that it comes with. Joking aside, the point is that annuities are complex and most of their benefits are intangible, except for the steak. As a client, you will eventually have to decide that if you are not going to become an expert with annuities, you will have to trust a salesperson. Annuities have value. However, their value must be balanced with costs and lost opportunity considerations. 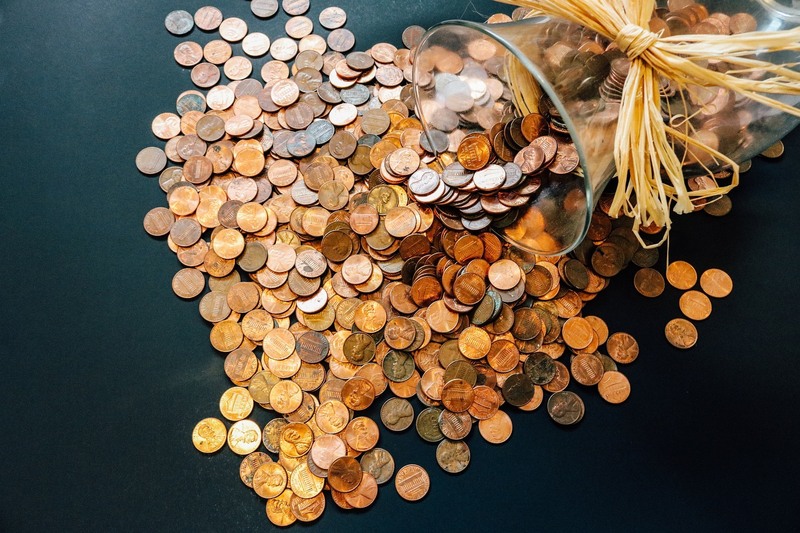 In addition to the direct costs of the annuity, like “mortality and expense”, the expense ratio of the investments or the costs of the “riders”, and indirect opportunity costs what are the value of the benefits you might be giving up to get an annuity?. First, what does an annuity get you? The most commonly advertised benefit of an annuity is fixed income. The insurance company that sells and manages the annuity will be paying you periodically, usually monthly, for the rest of your life (usually). That payment is presented as fixed: it will never decrease. Obviously, that is appealing to a lot of people: finally a financial instrument with some safety built in. Rarely does the salesperson point out the obvious: the periodic payment amount will never increase either. Why does it matter yo have your payment increase? 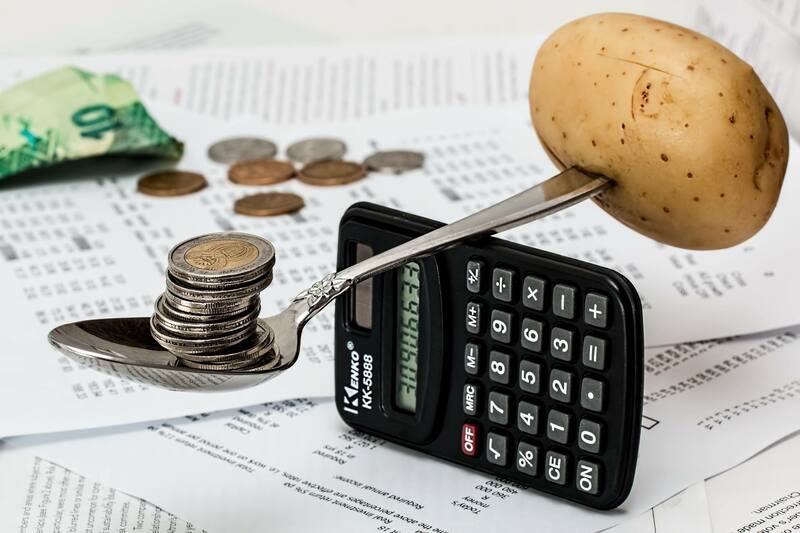 In an age where people ought to be planning for retirement for 20 or 30 years or more, a periodic payment that does not increase is basically a payment that continuously loses value to inflation. While you may not notice it from one year to the next, inflation is pernicious: it will slowly eat away your purchasing power. For instance, the table below shows that with inflation of 3%, the value in today’s dollars of a $5,000 annuity payment that you might receive today goes down to $2,803 in 20 years. In other words, you would be losing almost $2,200 of purchasing power automatically. Needless to say, this is something that you would want to know before buying the annuity. Also, annuities are Tax-advantaged. Americans love tax-advantaged investments, almost as much as they like tax-free investments. That is a key point to note: the money that you contribute to an annuity is not taxable when it distributes in retirement because, presumably, you have already paid taxes on it. Therefore, when the annuities distribute in retirement, part of the distribution is your own money that comes back to you tax-free. The gains, however, come back to you taxable as ordinary income. Now, how does the tax treatment of annuities compare to other methods of investing, like for example investing in equities and fixed income outside of an annuity? As with annuities, contributions to your investment are not taxed again when they are distributed. However, your gains will usually be taxable as capital gains. This is important because for many people capital gains tax rates are lower than ordinary income tax rates. In other words, you may very well be paying more taxes by putting your money in an annuity than if you had invested outside of it if the right circumstances are met. Another attractive benefit of annuities is that the payment amounts are Guaranteed. Financial Planners are not usually able to say that anything is guaranteed, because we do not know the future. However, financial salespeople can say that about annuities, because the benefits are guaranteed by the insurance company. Obviously, that is a very powerful statement, especially in the absence of comparable guarantees for traditional investment products. The bottom line is that traditional investments are not guaranteed. We know from watching the market or hearing about it on TV that anything can happen. In particular, the stock market can drop. Hence if we could protect ourselves from the risk of the stock market going down, it would obviously be a good thing. We know that in any given year the market could go down. 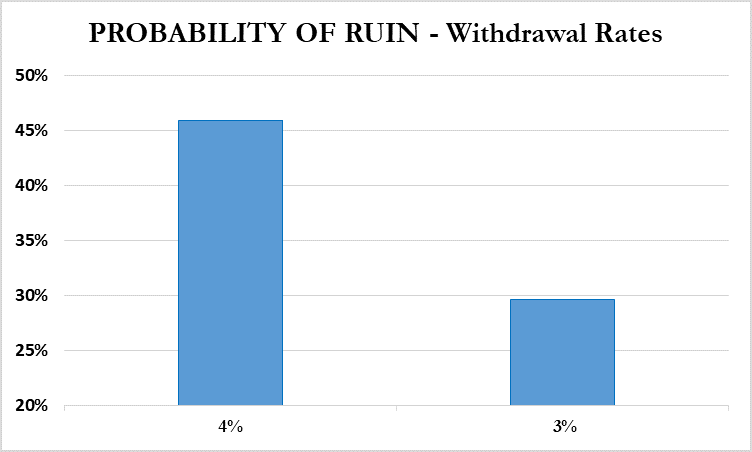 In fact, according to Logan Kane, on any random day, we have a 47 percent chance of stocks falling and a 53% chance of stocks rising. In any given year, we have a 75% chance of stocks rising. We also know that on average the stock market goes up. In fact, even when it goes down, we know that in any rolling five year period it will also go up as demonstrated with the S&P500 on the following graph. Therefore, when we protect ourselves against the downsides of the stock market with annuities we give up a lot of upside opportunity cost in return. Annuity companies tend to be shy about disclosing how your contributions are invested, except for variable annuities where the regulatory disclosure requirements are well developed. Variable annuities are invested in a mix of stock and bond funds. You can get a thorough description in their disclosure document. Otherwise, insurance companies will rather have a root canal than tell you how their fixed annuities are invested. Perhaps it does not matter since the insurance company guarantees the payments. Maybe we don’t need to know. Fixed index annuities are another matter. These instruments allow for the potential for growth. Mind you, in the typical words of a self-described “industry-leading financial organization”, ” your money is not actually invested in or exposed to the market”. They can get away with this statement because it is, most likely, technically true. However, in order to make the returns that they claim that their annuities can make, the insurance companies have to invest in something more than cash. Fixed index annuities put their money, your money, in derivatives: stock options and futures. Technically, it saves you stock market volatility by being outside of it. Instead, you get derivatives market volatility which is even greater. This has to be one of the most misleading sales pitches that financial salespeople make about fixed index annuities. Still, if the insurance company guarantees the returns, maybe it’s okay anyway? Lastly, what about the costs?? Insurance companies tend to be less than forthcoming about the costs of their annuities, except when regulations force them to disclose them. For instance, variable annuities typically disclose a lot of information. When you read the prospectus you will find that it discloses various kinds of fees: administration, mortality and expense, mutual fund subaccount, turnover ratio, and death benefit being some of the most common. According to the Motley Fool, you might find that the total ongoing cost of your variable annuity can be anywhere from 2.46% to 5.94% a year. Disclosure requirements for fixed and fixed index annuities are much less developed, which may be why insurance companies don’t typically disclose them. However, disclosure notwithstanding, there is definitely a cost that goes to paying your salesperson’s commission or the complicated options and futures strategies on your fixed index. The primary value of annuity products is not in the income or guarantee or tax benefit that they provide. The primary value of annuities is that they absorb risks that you as an investor are not willing to take in the market. Annuities give you a guaranteed fixed income. In exchange, they limit the possibility of growth in your capital or your income. They do that by balancing your risks with other people like you. As we suspect, most of us will not have an average life expectancy. We are either above average or below average. 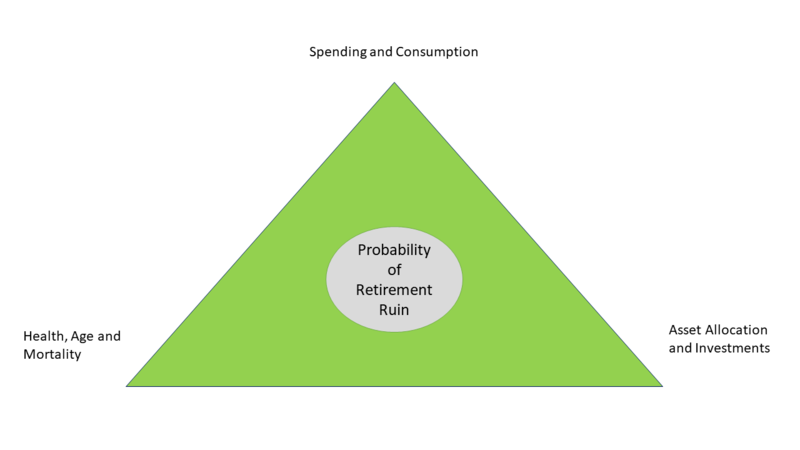 As Bill Sharpe, a Nobel prize winner in economics reminds us, buying an annuity allows us to share those risks, and for those of us who are above average, an annuity may well be a great bargain. As the organizer of the annuity party, the insurance company absorbs some of the risks as well. When we buy an annuity, we are transferring the risk of investing on our own to the insurance company. If the insurance fails in its investments, it commits to paying us anyway. That is valuable, but does the benefit need to cost that much? Could it be overpriced? Annuities can provide incredible value. However, the simplicity of providing guaranteed monthly income is well overtaken by the complexity, direct costs and the opportunity cost. It is important to understand what you are getting and what you are giving up with an annuity, You can make sure that it meets your needs first by getting advice that is in your best interest by a fee-only financial planner. You can find one at NAPFA or XYPN. Both are organizations of Certified Financial Planners that are committed to giving you advice that is in your best interest. As we approach the end of a lackluster year in the financial markets, there is still time to improve your financial position with a few well placed year-end moves . Maybe because we are working against a deadline, many year-end planning opportunities seem to be tax related . Tax moves, however, should be made with your overall long-term financial and investment planning context in mind. Make sure to check in with your financial and tax advisors. Here are seven important moves to focus your efforts on that will help you make the best of the rest of your financial year . As of[ October 26, the Dow Jones is up 1.65%, and the S&P500 is up just 0.98% ]for the year. Unfortunately, many stocks and mutual funds are down for the year. Therefore you are likely to have a number of items in your portfolio that show up in red when you check the “unrealized gains and losses” column on your brokerage statement. You can still make an omelet out of these cracked eggs by harvesting your losses for tax purposes . The IRS individual deduction for capital losses is limited to a maximum of $3,000 for 2018. So, if you only dispose of your losers, you could end up with a tax loss carryforward, i.e., tax losses you would have to use in future years. This is not an ideal scenario! However, you can also offset your losses against gains. For example, if you were to sell some losers and hypothetically accumulate $10,000 in losses, you could then also sell some winners. If the gains in your winners add to $10,000, you have offset your gains with losses, and you will not owe capital gain taxes on that joint trade! This could be a great tool to help you rebalance your portfolio with a low tax impact. Beware though that you have to wait 30 days before buying back the positions that you have sold to stay clear of the wash sale rule. Tax loss harvesting is a great tactic to use for short-term advantage. As an important side benefit, it allows you to focus on more fundamental issues. Why did you buy these securities that you just sold? Presumably, they played an important role in your investing strategy. 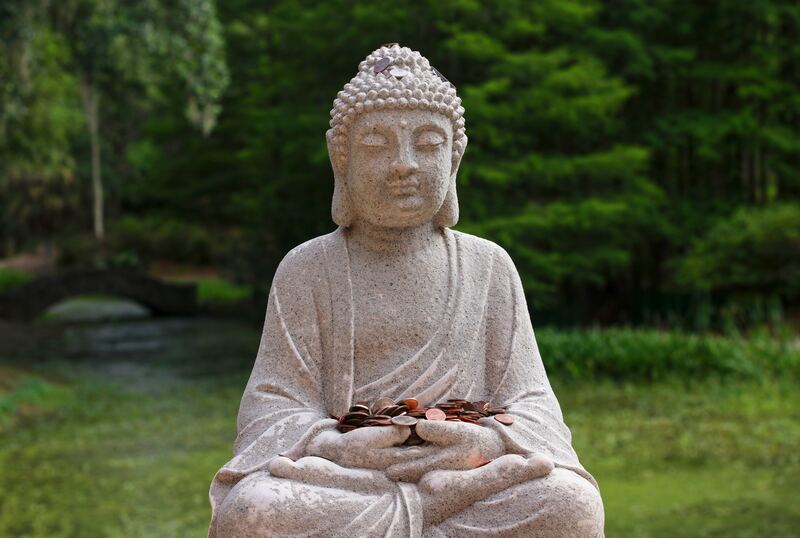 And now that you have accumulated cash, it’s important to re-invest mindfully. You may be tempted to stay on the sideline for a while and see how the market shakes out. Although we may have been spoiled into complacency after the Great Recession, the last month has reminded us that volatility happens. No one knows when the next bear market will happen , if it has not started already. It is high time to ask yourself whether you and your portfolio are ready for a significant potential downturn. Take the opportunity to review your goals, ensure that your portfolio risk matches your goals and that your asset allocation matches your risk target.. It is not too late to top out your retirement account! In 2018, you may contribute a maximum of $18,500 from your salary, including employer match to a 401(k), TSP, 403(b), or 457 retirement plan, subject to the terms of your plan. Those who are age 50 or over may contribute an additional $6,000 for the year. If you have contributed less than the limit to your plan, there may still be time! You have until December 31 to maximize contributions for 2018, reduce your 2018 taxable income (if you contribute to a Traditional plan), and give a boost to your retirement planning. Alternatively to deferring a portion of your salary to your employer’s Traditional plan on a pre-tax basis, you may be able to contribute to a Roth account if that is a plan option for your employer. As with a Roth IRA, contributions to the Roth 401(k) are made after tax, while distributions in retirement are tax-free. Many employers have added the Roth feature to their employee retirement plans. If yours has not, have a chat with your HR department! Although the media has popularized the Roth account as tax-free, bear in mind that it is not. Roth accounts are merely taxed differently . Check in with your Certified Financial Planner practitioner to determine whether electing to defer a portion of your salary to on a pre-tax basis or to a Roth account on a post-tax basis would suit your situation better. The current tax environment is especially favorable to Roth conversions . Under the current law, income tax rates are scheduled to go back up in 2026; hence Roth conversions could be suitable for more people until then. With a Roth conversion, you withdraw money from a Traditional retirement account where assets grow tax-deferred, pay income taxes on the withdrawal, and roll the assets into a Roth account. Once in a Roth account, the assets can grow and be withdrawn tax-free, provided certain requirements are met. If you believe that your tax bracket will be higher in the future than it is now, you could be a good candidate for a Roth conversion . It is health insurance re-enrollment season! The annual ritual of picking a health insurance plan is on to us. This could be one of your more significant financial decisions for the short term. Not only is health insurance expensive, it is only getting more so. First, you need to decide whether to subscribe to a traditional plan that has a “low” deductible or to a high deductible option. The tradeoff is that the high deductible option has a less expensive premium. However, should you have a lot of health issues you might end up spending more. High deductible plans are paired with Health Savings Accounts (HSA). The HSA is a unique instrument. It allows you to save money pre-tax and to pay for qualified healthcare expenses tax-free. Unlike Flexible Spending Accounts (FSAs), balances in HSAs may be carried over to future years and invested to allow for potential earnings growth. This last feature is really exciting to wealth managers: in the right situation clients could end up saving a lot of money. If you pick a high deductible plan, make sure to fund your HSA to the maximum. Employers will often contribute also to encourage you to choose that option. If you select a low deductible plan, make sure to put the appropriate amount in your Flexible Spending Account. FSAs are used to pay for medical expenses on a pretax basis. Unlike with an HSA, you cannot rollover unspent amounts to future years. If you are past 70, make sure that you take your Required Minimum Distributions (RMDs) each year. The 50% penalty for not taking the RMD is steep. You must withdraw your first minimum distribution by April 1 of the year following the year in which you turn 70 ½, and then by December 31 for each year after. Perhaps you don’t need the RMD? You may want to redirect the money to another cause. For instance, you may want to fund a grandchild’s 529 educational account. 529 accounts are tax-advantaged accounts for education. Although contributions are post-tax, growth and distributions are tax-free if they are used for educational purposes. Or, you may want to plan for a Qualified Charitable Distribution from the IRA and take a tax deduction. The distribution must be directly from the IRA to the charity. It is excluded from taxable income and can count towards your RMD under certain conditions. Speaking of charitable donations, they can also be used to reduce taxable income and provide financial planning benefits. However, as a result of the Tax Cut and Jobs Act of 2017 (TCJA), it may be more complicated than in previous years. One significant difference of the TCJA is that standard deductions went up to $12,000 for individuals and $24,000 for married filing jointly. Practically what that means is that you need to accumulate $12,000 or $24,000 of deductible items before you can feel the tax savings benefit. In other words, if a married couple filing jointly has $8,000 in real estate taxes and $5,000 of state income taxes for a total of $13,000 of deductions, they are better off taking the standard $24,000 deduction. They would have to donate $7,000 before they could start to feel the tax benefit of their donation. One way to deal with that is to bundle your gifts in a given year instead of spreading them over many years. For instance, if you plan to give in 2018 and also in 2019, consider bundling your donations and giving just in 2019. In this way, you are more likely to be able to exceed the standard deduction limit. If your thinking wheels are running after reading this article, you may want to check in with your wealth manager or financial planner: there may be other things that you could or should do before the end of the year! Is the TCJA an opportunity for Roth conversions? Note: The information herein is general and educational in nature and should not be construed as legal, tax, or investment advice. We make no representation as to the accuracy or completeness of the information presented. To determine investments that may be appropriate for you, consult with your financial planner before investing. Tax laws and regulations are complex and subject to change, which can materially impact investment results. Views expressed are as of the date indicated, based on the information available at that time, and may change based on market and other conditions.We make no representation as to the completeness or accuracy of information provided at the websites linked in this newsletter. When you access one of these websites, you assume total responsibility and risk for your use of the websites to which you are linking. We are not liable for any direct or indirect technical or system issues or any consequences arising out of your access to or your use of third-party technologies, websites, information, and programs made available through this website. September 2018 marked the 10 year anniversary of the Lehman Brothers bankruptcy in 2008, that ushered several months of extreme activity in the financial markets. The market slide from December 2007 to March 2009 was one of the steepest and scariest that we remember. Yet, ten years later, the S&P 500 has enjoyed the longest bull market in US history, having lasted 3,453 days from March 9, 2009, until the end of September 2018. (footnote: Dow Jones Indices and Washington Post) As has been the case throughout its history US markets have recovered and more than made up the losses of the last downturn. According to Morningstar, the S&P 500 returned an annual 12% from October 1, 2008, to September 30, 2018. On a cumulative basis, the S&P 500 has returned by 210%. This rally has been largely fueled by the easy monetary policy of the Federal Reserve, which moved short-term interest rates effectively to zero in the wake of the 2008-2009 bear market, promoting risky behaviors, especially with corporate borrowing, which have helped drive the U.S. stock market upwards since then. We all want to know when the next market downturn will occur. Some may think that it has started already with the October 2018 volatility. Since we cannot predict the future with any accuracy, we’ll stipulate that it may well have. However, we believe that the October market reflects a reversal to the greater volatility that the financial markets have historically displayed instead of the placid pace that we have been accustomed to since the Great Recession. We should get used to more of the same in the future. We are likely to be in the late innings of the current economic expansion. However, there are reasons for a cautiously positive outlook for the short term. Either for the short or long run, it continues to be important to match the risks of your investments with the need you will have for the funds. (If you are not sure what I am talking about here, drop me a line). If your needs for your money is in the short term, invest appropriately. With proper matching of asset risk and liability timing, you can be well prepared for the downturns that will inevitably come. In late September, the U.S. placed an additional round of tariffs on $200B of Chinese goods. They are expected to affect a wide range of products, from computer electronics to forestry and fishing. In response, China accused the Trump administration of bullying and applied their own tariffs on $60B worth of goods. If the Chinese response looks weak, it is only because China imports a lot less from the US than we do from them! That should not be reassuring as China has many other tools to retaliate with besides imposing tariffs on American goods. According to Fitch, the rating agency, these trade escalations will have a negative impact on global growth. As a result, they lowered their economic growth forecasts slightly from 3.2% to 3.1%. In its simplest form, a tariff is a tax imposed on imported goods. Eventually, it gets paid by consumers. There are already anecdotes of the effects of the tariffs on the price and availability of some products. Coupled with the tariffs imposed by China, we expect that they will work themselves in the numbers in quarters to come. American consumers continue to be oblivious to the effects of trade and tariff risks. The Conference Board’s Consumer Confidence Index hit an 18-year high and sits very close to an all-time high, due in part to a strong outlook on economic growth and low unemployment. Speaking of unemployment: it fell to 3.7% in September 2018, well below the 50- year average of 6.2%. Normally, we expect low unemployment to be associated with wage inflation. Fortunately for employers, although not for workers, wage growth has remained stagnant well below historical averages. In each of the last four quarters, the Federal Reserve increased the Fed Funds rate 25 basis points (bps). It now stands at a level of 2.00% – 2.25%. We have had three increases already in 2018 and 8 since 2015. It is possible that the volatility that we experienced in October 2o18 may delay the projected December 2018 increases. However, at this time, owing to the otherwise strong economy, we expect that the increase will come through, and will be followed by two more increases in 2019. The Core PCE (Personal Consumption Expenditures), a measure of inflation, is running right around the Fed target of 2%. From the Federal Reserve perspective, that is good news, as inflation has persisted below this mark for the last several years. Inflation is one of the key economic measures that the Fed watches very closely. When interest rates climb faster than anticipated, it may signal an overheating economy and inflation. The Fed may then increase interest rates more quickly. Reversing last quarter when small-cap stocks outperformed large-cap stocks, this quarter saw large-cap stocks outperform their small-cap counterparts as trade and tariff talk dissipated. In addition, large-cap stocks are still benefiting from the effects of the tax cut. Even so, on a year-to-date basis, small-cap stocks have still outpaced large-cap stocks 11.5% to 10.5% as of the end of September. From a style perspective, the last quarter continued to increase the gap between growth and value stocks. On a year-to-date basis, large-cap growth stocks, as represented by the Russell 1000 Growth, have outperformed large value stocks, as represented by the Russell 1000 Value by 13.2% (17.1% vs. 3.9%). International equities have continued to lag their U.S. counterparts in 3Q2018. In fact, the MSCI EAFE was the only major international equity index we follow that earned a positive return during the quarter (1.4%). Additionally, each of the four major international equity indexes we follow have fallen on a YTD basis. During 3Q, much of the conversation in emerging markets surrounded Turkey and Argentina. Turkey’s direct impact on the overall return of the MSCI Emerging Markets index was minimal as it comprises only 0.6% of the MSCI Emerging Markets Index. However, because Argentina comprises almost 16% of the MSCI Frontier Markets Index, its troubles certainly had a greater impact on returns. We expect that MSCI will reclassify Argentina into the MSCI Emerging Markets Index in mid-2019. Emerging markets continue to have strong growth and attractive fundamentals. Specifically, they are considerably less expensive from a P/E ratio perspective and pay higher dividends. However, the Fed rate increases have hurt, as US rate hikes have a tendency to increase the value of the dollar, and decrease the attractiveness of emerging market investments. 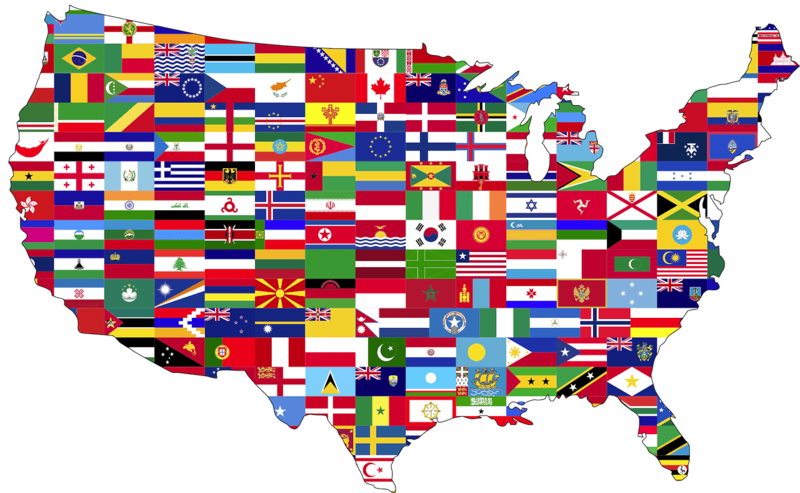 Also, while the U.S. comprises 55% of global market capitalization, 45% continues to come from outside our borders. Therefore, despite occasional challenges, we believe that it is important for investors to be diversified in markets outside the U.S. Investors should keep in mind that investing domestically vs. internationally should not be an all-or-nothing endeavor. We continue to believe that global diversification is important. Fixed income investments continue to be challenged in a rising rate environment. Specifically, Treasury investments have yielded negative returns over the last 12 months. The picture worsens with longer maturities and most other fixed-income categories. We continue to keep an eye on the shape of the yield curve. When the 2 year and 10 year Treasuries (the yield curve) come to close together, it is often a precursor of recession. That happens when investors no longer believe that they are being adequately compensated for holding longer maturities. This year the gap between the two has continued to narrow and therefore has fueled speculation. As of now, the curve has not inverted (ie short-term rates are still lower than long-term rates). Therefore, the best we can say is that this indicator is inconclusive at this time. In anticipation of continued fixed income market turmoil due to rising rates and other factors, our fixed income portfolio is weighted toward shorter maturities and floating rate instruments. We believe that this provides an adequate return at an acceptable risk. Note: The information herein is general and educational in nature and should not be construed as legal, tax, or investment advice. Views expressed are the opinions of Insight Financial Strategists LLC as of the date indicated, based on the information available at that time, and may change based on market and other conditions. We make no representation as to the accuracy or completeness of the information presented. This communication should not be construed as a solicitation or recommendation to buy or sell any securities or investments. To determine investments that may be appropriate for you, consult with your financial planner before investing. Market conditions, tax laws, and regulations are complex and subject to change, which can materially impact investment results. Index performance information, financial conditions, inflationary and future risk and return information is provided for illustrative purposes only. One cannot invest directly in an index. Past performance is no guarantee of future results. Individual investor performance may vary depending on asset allocation, the timing of investment, fees, rebalancing, and other circumstances. All investments are subject to risk, including the loss of principal. Insight Financial Strategists LLC is a Massachusetts Registered Investment Adviser. Financial Planners and Estate Planners are two different professions that are often confused. There is some overlap between professionals in these fields, but their roles are rather distinct. When you are striving to make a long-term plan for a strong financial future, both financial planners and estate planners play a crucial role. In fact, when you consider some of the most recent personal finance statistics, it becomes very clear that many Americans could really benefit from retaining the services of both a financial planner AND an estate planner. For instance, 33% of Americans have no money saved for retirement, 60% lack any form of an estate plan, and only 46% have money saved for emergencies. Better planning starts with understanding what both types of planners do. Certified Financial Planners (CFP) are required to comply with the Certified Financial Planner Board of Standards, which means they have a basic level of expertise backed by a larger organization. Ethically they have to work in your best interest. The goal of a financial planner is to assist with wealth accumulation. On the other hand, an estate planner can help you to make financial plans associated with your passing, which includes protecting the wealth that you have accumulated . While you might believe only wealthy individuals need to work with an estate planner, you should consider the fact that everything you have accumulated in your life comprises your estate. Accumulated assets such as vehicles, furniture, bank accounts, life insurance, your home, and other personal possessions are all included in your estate. Your assets become the property of the state if you die without a will or an estate plan in place , and your family members will not be able to claim them without paying legal fees and taxes. They will also have to face the stress of potential disagreements with other family members over how your property should be divided. Besides planning for your passing, estate planning also involves creating a clear plan for your care if you become disabled , and it also covers naming guardians for underage children. Estate planning is a way to protect your family and your assets while reducing taxes and legal fees . The roles of financial planners and estate planners are unique, and for this reason, you will benefit from working with both . While your financial planner helps you accumulate wealth, he or she can also prepare you for a meeting with an estate planner as part of your long-term strategy. This includes providing the estate planner with lists of beneficiaries, tax return documentation, lists of investments and a breakdown of income and expenses. When you work with both a financial planner and an estate planner, they will keep you accountable by periodically reviewing your documentation and beneficiaries and making sure everything is updated and reviewed as necessary. By taking the time to work with both these professionals, no important decisions will be overlooked, and you will take control of your financial future. Note: This article was authored by Kristin Dzialo, a partner at Eckert Byrne LLC, a Cambridge, MA law firm that provides tailored estate planning. Eckert Byrne LLC and Insight Financial Strategists LLC are separate and unaffiliated companies. This article is provided for educational and informational purposes only. While Insight Financial Strategists LLC believes the sources to be reliable, it makes no representations or warranties as to this or other third party content it makes available on its website and/or newsletter, nor does it explicitly or implicitly endorse or approve the information provided. We all think that we are fully rational all the time but in reality the way our brains operate that is not always the case. One of the key functions of the brain is self-defense. When the brain perceives danger it makes automatic adjustments to protect itself. When it perceives discomfort it seeks to engage in an action that removes the stress. In his book “Thinking Fast and Slow” Nobel Prize Winner Daniel Kahneman explains how we all have a two way system of thinking that we use to make decisions. He labels the two components as System 1 (Thinking Fast) and System 2 (Thinking Slow). System 1 is automatic, fast responding and emotional. System 2 is slower, reflective and analytical. Think of your System 1 as your gut reaction and your System 2 as your conscious, logical thought. While we all like to think that our key life decisions are governed by our logical thought (System 2) research has shown that even major decisions are often driven by our gut feel. Which System do we use to make a decision? That depends on the problem. If we have seen the problem many times before such as what to do when see a red light we default to our automatic System 1 thinking. When we face a challenge or issue that we have not seen before or maybe infrequently we tend to use System 2, our more reflective and analytical capabilities. Kahneman’s research shows that we spend most of our time in System 1. 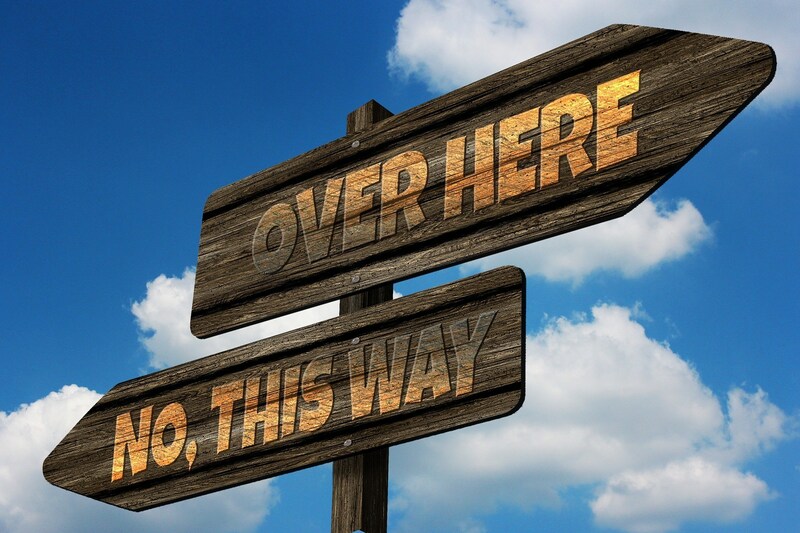 While most people think of themselves as being rational and deliberate in their decision making, the reality is that we often employ “short-cuts” or heuristics to make decisions. Most of the time, these “short-cuts” work just fine but occasionally for more difficult or complex problems the impressions arrived from System 1 thinking can lead us astray. Why? Above all else, System 1 thinking seeks to create quick and coherent stories based on first impressions. These impressions are a function of what our brain is sensing at that moment in time. According to Kahneman, conclusions are easily reached despite often contradictory information as System 1 has little knowledge of logic and statistics. He calls this phenomenon – WYSIATI – for “what you see is all there is”. The main implication from WYSIATI is that people often over-emphasize evidence that they are familiar with and ignore evidence that may be much more relevant to the problem at hand but that they are not fully aware of. System 1 conclusions therefore may be biased and lead to decision “short-cuts” or heuristics that seriously impair the quality of a decision. What makes making “money” decisions so hard? When it comes to investing people often rely too much on System 1 or automatic thinking. The research shows that we are not infallible and we in fact often make behavioral mistakes. Sometimes we over-rely on our gut feel without properly evaluating the consequences of our actions. 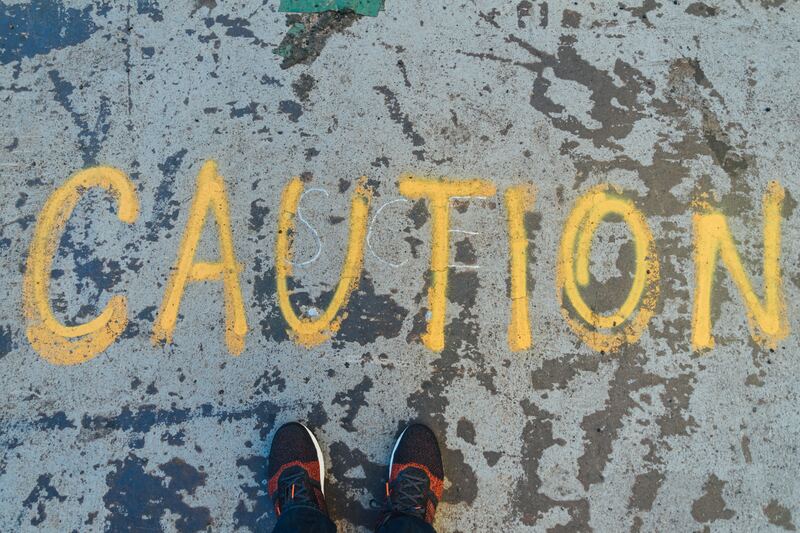 Often our brain perceives of the dangers first and sends us a warning signal to be careful. Losing money puts us on red alert. 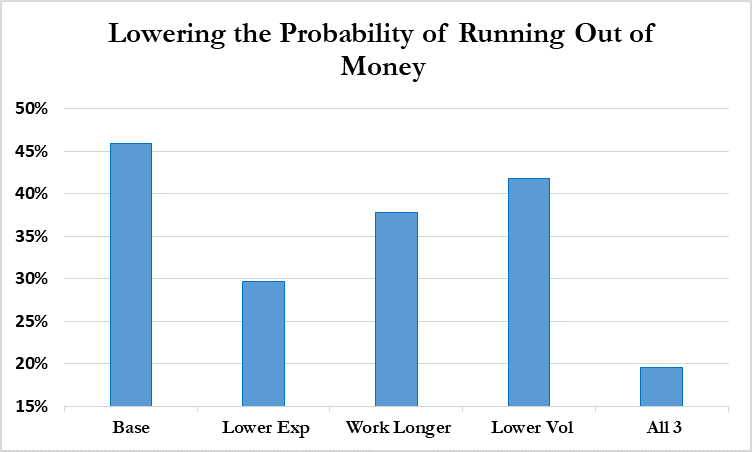 Behavioral finance research (for example in the book Nudge) has shown that losing money makes you twice as miserable as gaining the same amount makes you happy. People are loss averse. Loss aversion makes people overvalue what they have due to a reluctance to incur any losses should they make a change. What they give up, sometimes unknowingly, is potential upside. Loss aversion creates inertia. Inertia often works against investors that overvalue the attractiveness of their current holdings. There are different degrees of loss aversion. According to Prospect Theory, all investors value gains less than losses but some exhibit an extreme dislike for potential losses that significantly hinders their long-term wealth creation potential. Nobody likes to lose money, but taking on risk in order to compound your hard earned savings is an integral feature of how capital markets work. You don’t get a higher reward unless you take additional risk. Most investors know that stocks do better than bonds over the long-term but that the price of these higher returns is more risk. Investors also understand that bonds do better most of the time than simply purchasing a CD at the local bank or investing in a money market mutual fund. But knowledge stored in your logical and analytical System 2 thinking does not always make it through in the face of stress or uncertainty. Case B: They fail to calibrate their expectations to the likely frequency of outcomes. In Case A, investors seek the perceived safety of bonds often not realizing that as interest rates go up bonds can lose money. Or they simply pile into CD’s not realizing that their returns most often fail to keep up with inflation. Stocks are frowned upon because you can lose money. Investors in Case A let their decisions be driven by emotion and fear and will over-value the importance of safety and under-value the importance of future portfolio growth. Their account balances will not go down much when capital markets experience distress, but neither will they go up much during equity bull markets. In Case B investors mis-calibrate their expectations for various investment outcomes and the consequences can be as dire as in the first situation. 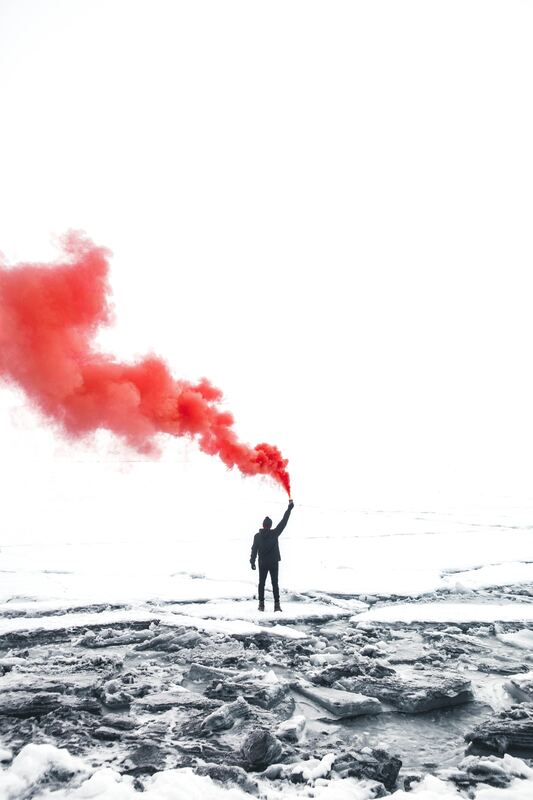 Behavioral finance research has shown that investors frequently over-estimate the likelihood and magnitude of extreme events such as stock market corrections. Investors often become fixated on what could happen should an equity market correction occur, but they fail to properly evaluate the likelihood and magnitude of such a correction in relation to historical precedents. They also importantly fail to properly calibrate the probability of observing a recovery after going through such a correction. What are the implications for investors playing it too safe? Let’s consider the case of investors currently working and saving a portion of their income to fund a long-term goal such as retirement. 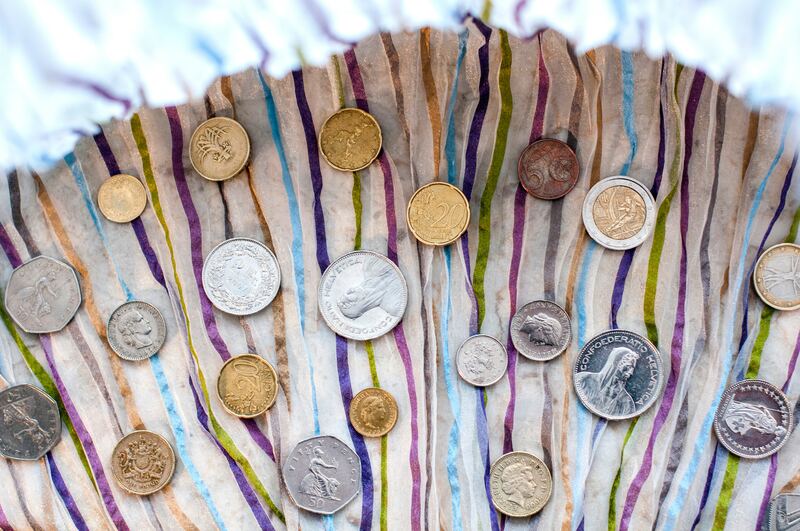 These individuals are in the accumulation phase of their financial lives. Somebody in the accumulation phase will naturally worry more about how fast they can grow their portfolio over time and whether they will reach their “number”. People in the accumulation phase care primarily about their balances going up year after year. They are in “growth” mode. To better illustrate this situation let’s look through the eyes of a recent college grad called Pablo earning $40,000 a year. Pablo is aware of the need to save part of his salary and invest for the long-term. He just turned 22 and expects to work for 40 years. Pablo will also be receiving annual 2.5% merit salary increases which will allow him to save a greater amount each year in the future. Pablo faces two key decisions – what percentage of his salary to save each year and the aggressiveness of his portfolio which in turn will determine its most likely return. He is conflicted. He has never made this much money before and worries about losing money. He also understands that he alone is responsible for his long-term financial success. Pablo knows that there is a trade off between risk and return but he wants to make a smart decision. His System 1 thinking is saying play it safe and don’t expose yourself to potential loses. At the same time his rational and informed System 2 thinking is influenced by a couple of finance and economics classes he recently took while in college. Pablo can succumb to automatic System 1 thinking and invest in a very conservative portfolio. Or he can rely on his System 2 thinking and invest in a higher risk and commensurately higher return portfolio. For simplicity sake assume that Pablo decides to put 10% of his salary into an investment fund. The fund consists primarily of high grade bonds such as those contained in the AGG exchange traded fund. From the knowledge gained in his econ and finance classes Pablo estimates that this portfolio should return about 4% per year – a bit below the historical norm for bonds but consistent with market interest rates as of August 2018. Pablo also understands that such a portfolio will have a bit of variability from year to year. He estimates that the volatility of this portfolio is likely to be about 6% per year. Again, this estimate is in line with current bond market behavior as of August of 2018. He knows that this is a low risk, low return portfolio but the chances of this portfolio suffering a catastrophic loss are negligible. He is petrified of losing money so this portfolio might fit the bill. How large could his portfolio be expected grow to over 40 years of saving and investing in this conservative manner? We built a spreadsheet to figure this out. We assumed a 4% portfolio return on principal, 2.5% annual salary increases and a half year of investment returns on annual contributions also at 4%. Remember that this is a hypothetical example with no guarantee of returns. At the end of 40 years Pablo’s salary is assumed to have grown to $107,403 and his portfolio, invested in this conservative manner, would have a balance of $575,540. 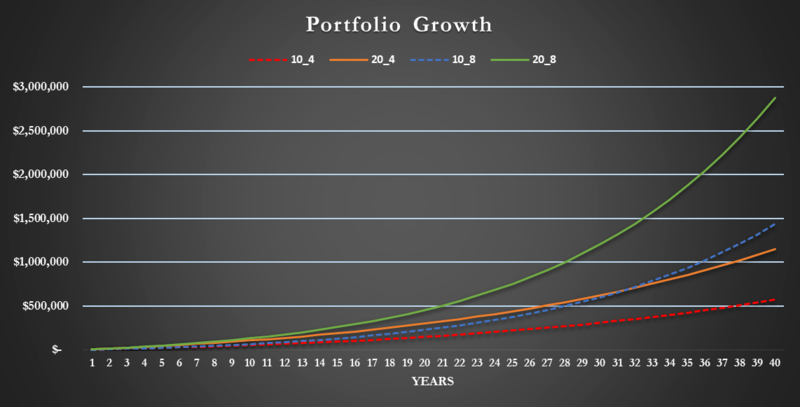 The growth of this portfolio (identified as 10_4) is shown in Figure 1. The naming convention for the portfolios corresponds to the savings rate followed by the assumed hypothetical rate of return on the strategy. Pablo knows that his portfolio will not exactly return 4% every year. Some years will be better, other years much worse but over the next 40 years the returns are likely to average close to 4%. But Pablo does not feel comfortable just dealing in averages. If things go bad, how bad could it be? Given the volatility of this conservative portfolio there is a 10% chance of losing 3.6% in any given year. These numbers are calculated by Insight Financial Strategists based on an approximation of a log-normal simulation and are available upon request. Not catastrophic but nobody likes losing money. Figure 2 shows the 90th and 10th probability bands for this conservative portfolio. 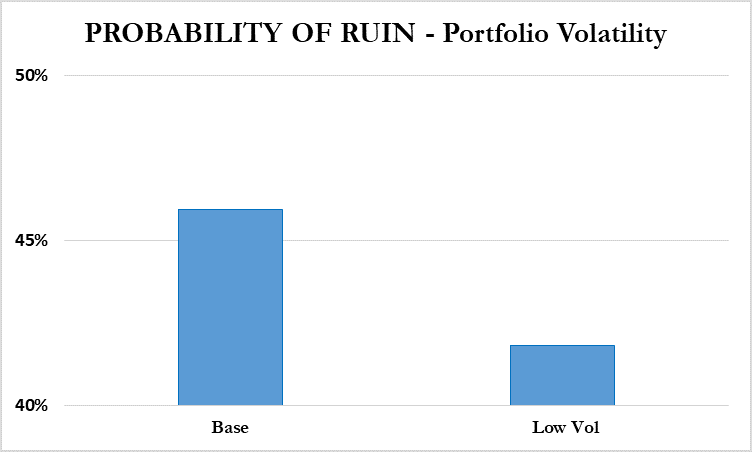 These bands are estimated based on the expected average return of the portfolio and its volatility. The actual portfolio return would be expected to lie about 2/3 of the time within these bands. In the short-term, say 1 to 2 years out, the portfolio returns are more unpredictable. Over longer horizons, the average return to this conservative portfolio should fall within much tighter bands given the assumed risk and return numbers in the log-normal simulation. Based on the calculations, the average returns over ten years should range between 6.3% and 1.4% per annum. Clearly, even this conservative portfolio has some risk especially in the short-term, but over longer holding periods returns should smooth out. Assuming the same 2.5% annual salary increases, the final salary would have been the same but his nest egg would have grown to $1,151,080. Pablo keeps looking at Figure 1 (the 20_4 line representing a 20% savings rate invested at an assumed 4%) and starts thinking that maybe a bit of extra saving would be a very good thing. He still has a 10% probability of being down 3.6% in any given year, but if his budget allows, he feels that he can forego some frills until later. Now, Pablo is starting to get excited and wonders what would happen if he invested more aggressively, say in a variety of equity funds? The likely returns would go up but so would his risk. He estimates that based on current market conditions and the history of stock market returns (obtained from Professor Damodaran of NYU) that this more aggressive portfolio should have about an 8% annual rate of return with a volatility of around 14% per year. These estimates are both a bit lower than the 1926-2017 average reflecting higher current (as of August 2018) valuations and lower levels of overall market volatility. He is thinking that maybe by taking more risk in his portfolio during his working years he will be able to build a nest egg that may even allow him for some luxuries down the road. He also knows that things do not always work out every year as expected. Pablo is pretty confident that 8% is a reasonable expectation averaged over many years, but how bad could it be in any given year? 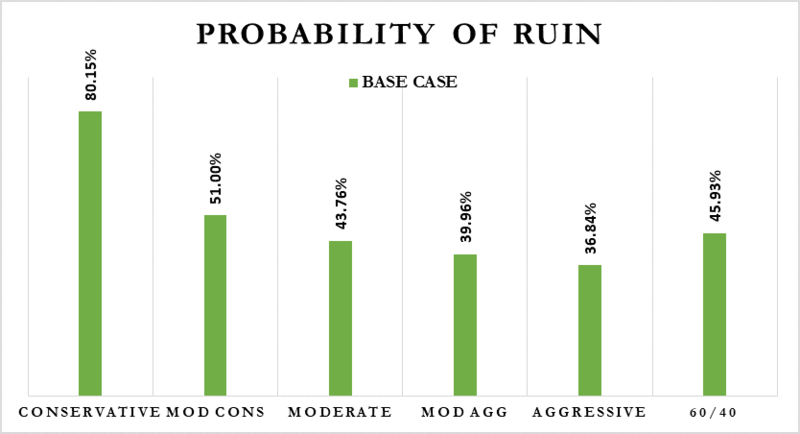 A log-normal simulation was conducted using the assumed risk and return numbers – same approach as before. Figure 3 shows the 90th and 10th percentile bands for this portfolio. Given the volatility of this equity-oriented portfolio, there is a 10% chance of losing 9.2% in any given year (based on the simulations). Ouch, the reality of equity investing is starting to sink in for Pablo. 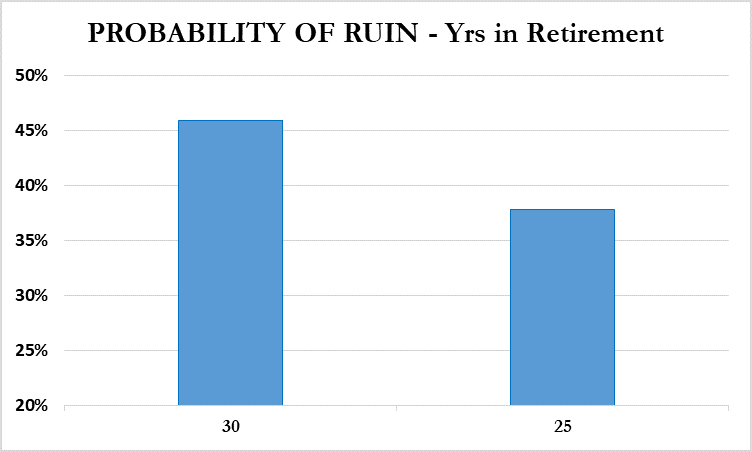 But Pablo is also encouraged to see that his returns in any given year are equally likely to be about 26% or higher. That would be nice! Especially when it comes to equities there is a wide range of potential returns but over time these year by year fluctuations should average out to a much narrower range of outcomes. While our best estimate is that this portfolio will return on average 8% per year over a ten-year window the range of expected outcomes should be between a high of 12.9% and a low of 1.6%. 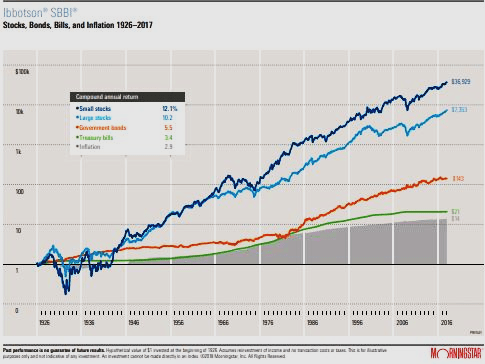 Pablo decides to research the history of stock, bond, and cash returns by reading our April Blog on Understanding Asset Class Risk and Return and looking at a chart of long-term returns from Morningstar (Figure 4). He is surprised to find that over the long-term equities do not seem as risky as he previously thought. He is also quite surprised by the wide gap in wealth created by stocks versus bonds and cash. The research makes Pablo re-calibrate his expectations and he starts wondering whether the short-term discomfort of owning equities is worth it in the long run. Pablo’s System 1 thinking is on high alert and his first thought after seeing how much he could lose investing in equities is to run back to the safety of the bond portfolio. But something tells him to slow down a bit and think harder. This is a big decision for him and his System 2 thinking is kicking in. 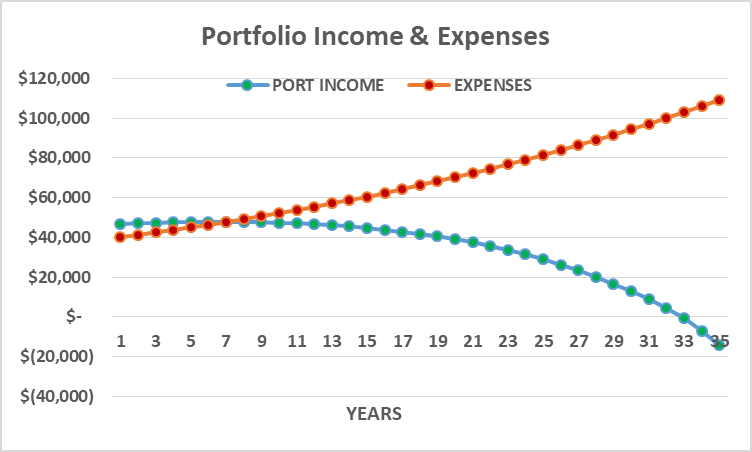 Before he throws the towel in on the equity-oriented portfolio he glances again at Figure 1 to see what might happen if he invests more aggressively. What he sees astounds him. It is one thing to see compounding in capital market charts and yet another to see it in action on your behalf. Small differences over the short term amount to very large numbers over long periods of time. If Pablo were to invest in the more aggressive portfolio there would be more hiccups over the years but his ending account balance should be $1,440,075 if he consistently put aside 10% of his salary every year. If he saved 20% the ending portfolio balance would double in size. Pablo is now faced with a tough decision. Does he play it safe and go with the conservative portfolio? Or, does he go for more risk hoping to end up with a much larger nest egg but knowing that the ride may be rough at times? Beyond the numbers, he realizes that he needs to look within to make the best possible decision. His System 1 thinking is telling him to flee, but his System 2 thinking is asking him to think more logically about his choices. He also needs to deal with how much he is planning to save from his salary. He needs to come to terms with how much risk he is willing to take and whether he can stomach the dips in account balance when investing in riskier assets. As Mike Tyson used to say, “Everybody has a plan until they get hit in the face”. In structuring his investment portfolio Pablo needs to balance fear with greed. Paying attention to risk is absolutely necessary but always in moderation and in the context of historical precedents. If Pablo lets his fears run amuck he may have to accept much lower returns. With the benefit of hindsight, he may come to regret his caution. On the other hand, the blind pursuit of greed and a disregard for risk may also in hindsight come back to bite him. Pablo needs to find that happy medium but only he can decide what is right for him. Risk questionnaires can help in this regard. Try ours if you like! Pablo also needs to come to grips with how much current consumption he is willing to forego in order to save and invest. We live in an impulse oriented society. Spending is easy, saving is hard. Saving is hard especially when you are starting out. On the other hand, over time the saving habit becomes an ingrained behavior. The saving habit goes a long way toward ensuring financial health and the sooner people start the better. Will Pablo be able to save 10% of his salary? Or, even better will he be able to squeeze out some additional expenditures and raise his saving to 20%? If possible Pablo should consider putting as much money in tax-deferred investment vehicles such as a 401(k). He should also have these contributions and any other savings automatically deducted from his paycheck. That way he won’t get used to spending that money. Pablo may come to see these deductions from his paycheck as a “bonus” funding future consumption. This has been an eye-opening experience for our hypothetical friend Pablo. He was not expecting such a difference in potential performance. He now realizes the importance of maximizing saving for tomorrow as well as not succumbing to fear when investing for the long-term. Avoid all risks, save a lot and watch your investment account grow slowly but smoothly? Or, take some risk and grow your portfolio more rapidly but with some hiccups? Also, are you willing to delay some current consumption in order to invest for the future? The answer depends on you – your needs, goals and especially your attitude toward risk and your capacity to absorb losses. 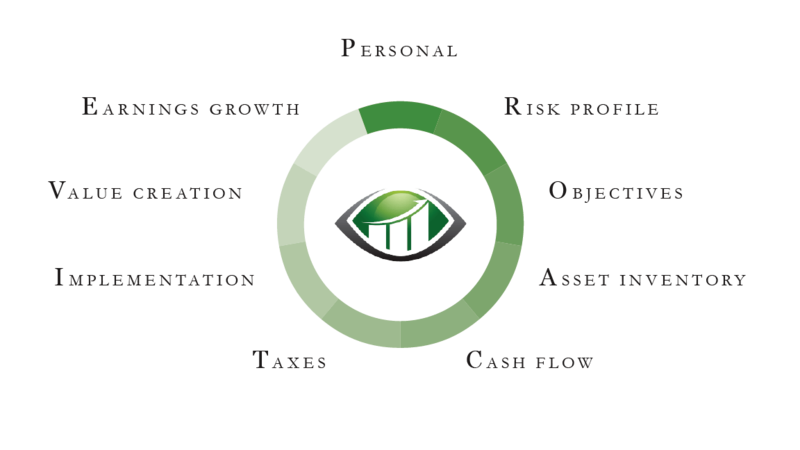 Interested in having the professionals at IFS identify your risk tolerance, time horizon, and financial needs? Please schedule a complimentary consultation here. Much of the data used in these illustrations comes courtesy of Professor Aswath Domodaran from NYU and covers US annual asset returns from 1928 to 2017. Information presented herein is for discussion and illustrative purposes only and is not a recommendation or an offer or solicitation to buy or sell any securities. Views expressed are as of the date indicated, based on the information available at that time, and may change based on market and other conditions. References to specific investment themes are for illustrative purposes only and should not be construed as recommendations or investment advice. Investment decisions should be based on an individual’s own goals, time horizon, and tolerance for risk. Stock and bond markets are volatile and can decline significantly in response to adverse issuer, political, regulatory, market, or economic developments. Investing involves risk, including risk of loss. There’s been a lot of sideways action in this year’s capital markets. We have had a couple of mini-corrections already but equity markets have done a remarkable job of ignoring some clouds on the horizon. The big elephant in the room that investors have chosen for the most part to ignore is the possibility of an all-out global trade war. What started back in February as aluminum and steel tariffs has delved into a war of words and escalation of tariffs between the world’s three largest economies of the US, China and Europe. There is almost a sense of disbelief that this could be happening after decades of globalization. We are so used to the free flow of goods and services across borders that we hardly ever stop and think about where things are made. Is a Toyota Camry Japanese or a “Made in the USA” car from a company that so happens to be domiciled in Japan? Is your iPhone an American product or a product made in Asia for a US-based company? Global companies such as Apple or Toyota operate in highly inter-linked global supply chain and sales channels. A trade war will be highly disruptive to global trade and manufacturing. Ultimately, an all-out trade war creates massive uncertainty and significantly lowers global economic growth going forward. According to Oxford Economics a trade war could cost the global economy $800 Billion. To read more about our views on key risk factors facing investors for the rest of 2018 and our intermediate-term outlook for major asset classes please read our Quarterly Capital Market Perspectives. Divorce is the final step of a long process. Whether the marriage was long or short, the end of marriage brings about the conclusion of an important phase of your life. Divorce is an emotional event sometimes anticipated years in advance and at other times coming totally out the blue. In all cases whether anticipated or not, divorce is a stressful event. According to the Holmes-Rahe Life Stress Inventory Scale divorce ranks as the second most stressful event that a person can experience in a lifetime. Typically when you divorce you end up with an investment portfolio that is ½ of your old couple’s portfolios. Invariably, your new portfolio will not be suitable anymore. If you haven’t been the “financial” person in your marriage you may not even know what you own. Most likely you will need to make changes to your portfolio to suit your new situation. You are now also solely responsible for your financial health. Your post-divorce portfolio should reflect your updated needs, objectives and comfort level with investment risk. This may not be what you bargained for or you may feel ill-prepared to handle this on your own. You may feel that your life is out of your sync, but aligning your financial assets to your new situation is entirely under your control. 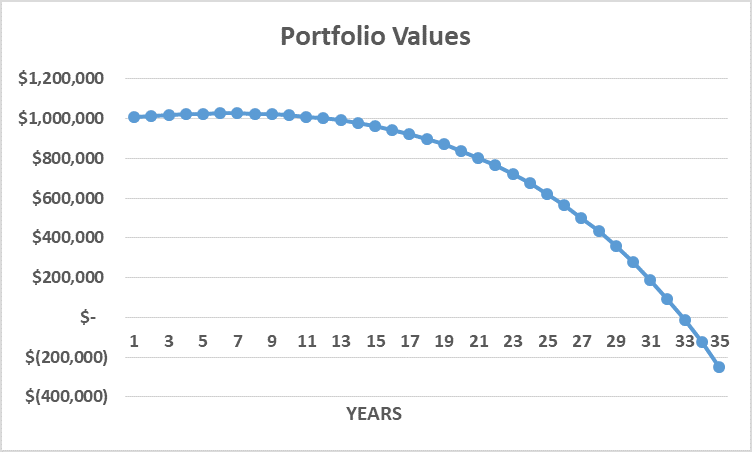 Why do you need a new portfolio once you divorce? For one, the dollar amounts are less than before and your current investment strategy reflects your goals as a couple rather than your own objectives going forward. Moreover, most likely your confidence is a bit shot and your desire to take much investment risk is lower than before. Ok, are you with me? You can control this aspect of your new life. What steps should you take to get the ball rolling? We suggest an approach rooted in our P.R.O.A.C.T.I.V.E methodology. The first step involves thoroughly examining your new situation from a non-financial standpoint. Where do you want to live? What type of lifestyle are you looking for? If you have children what type of issues do you need to account for? The second step is to re-evaluate your comfort with taking investment risk. Now that you are solely in charge of your financial life how do you feel about taking on risk? Are you comfortable with the inevitable stock market swoons that occur periodically? Are you able to think as a long-term investor given your recent divorce? The next step is really important. Your post-divorce portfolio needs to work for you. Establishing a hierarchy of financial objectives will drive the type of strategy that is most appropriate for you. Is your primary objective to save for retirement? Do you have any major objectives besides retirement? Maybe you need to fund college tuition for your two kids. Maybe you plan on buying a new home in 2 years once your life has settled down? Next you need to deal with the nitty gritty of figuring out exactly what you own and cash flow budgeting. What you own should not be difficult to figure out as you have just gone through the divorce process. The second part of cash flow budgeting is often highly sensitive for people not used to budgeting during their marriage. If you have never had a budget or stuck to one this step seems like a major imposition. But unless money is so plentiful you have no choice. At least for a period of time you will have to keep track of your expenses and gain an understanding of where the money is going. The reason this is important is that you may need to tap into portfolio gains to fund your living expenses. If that is the case, your portfolio should be structured to write you a monthly check with a minimal amount of risk and tax consequences. The next step in the P.R.O.A.C.T.I.V.E process is to evaluate your tax situation. If you are in a high tax bracket you might want to favor tax-advantaged investments such as municipal bonds. 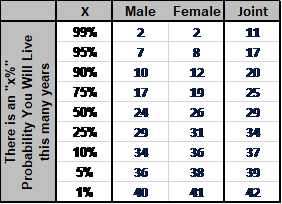 If your income is going to be taking a hit post-divorce you probably will end up in a lower tax bracket increasing the attractiveness of a Roth conversion to your traditional individual retirement account. The last three steps all involve figuring out how best to construct your investment portfolio. Going from your pre-divorce portfolio to something that fits your needs and goals will usually require some major re-adjustments in your strategy. Going through our P.R.O.A.C.T.I.V.E process or a similar approach is probably the last thing you want to do on your own. Most likely you will need the help of an advisor to work through this. Keep in mind that the reason you are doing this is to regain control over your financial life. You sought the help of a lawyer during your divorce. Now is the time to move forward and seek the help of financial professionals with an understanding of your situation and new set of needs. What is the best way to implement a portfolio strategy for newly divorced people? The most important aspect of post-divorce portfolio is that it fits you and your new circumstances and desires. Using our P.R.O.A.C.T.I.V.E methodology as a framework for evaluating your needs and desires we suggest implementing a portfolio structure that encompasses three “buckets”. A “bucket” is simply a separate portfolio and strategy that has a very specific risk and return objective. Each bucket in our approach is designed to give you comfort and clarity about its role in your overall portfolio. What is the role of these “buckets”? Each “bucket” has a very specific role in the overall portfolio as well as very explicit risk and reward limits. 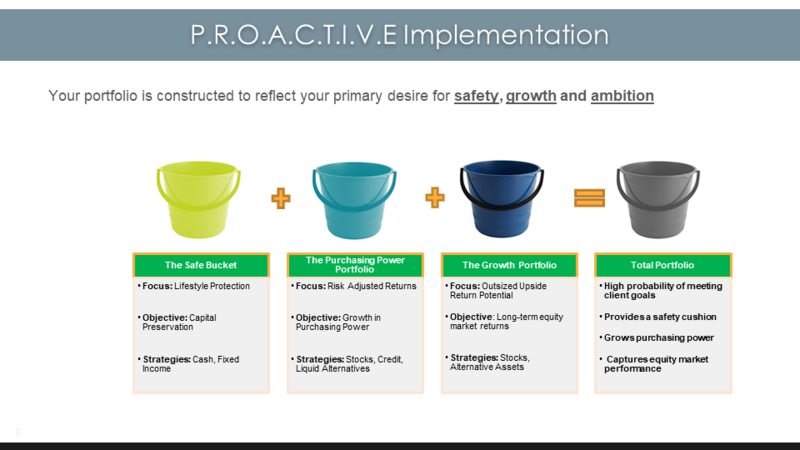 We label our three “buckets” as the Safe, the Purchasing Power and the Growth portfolios. The role of the Safe Bucket is to provide liquidity and cash flow to you to meet your short-term lifestyle needs. How much you have invested in your Safe portfolio is a function of how much money you need to fund your lifestyle over the next few years. The second bucket – the Purchasing Power portfolio – is designed to allow you to enhance your lifestyle in terms of real purchasing power. What this means is that every year your portfolio should have a return exceeding inflation. Finally, the third bucket – the Growth portfolio – is designed to grow your portfolio in real terms. This portfolio is designed to maximize your returns from capital markets and will be almost exclusively invested in higher risk/higher reward equity securities. Going through divorce is one of the most stressful situations anyone can face. Transitioning to a new beginning may take a short term for some but for most people the period of adjustment is fraught with uncertainty and doubt. People often worry about their finances and whether they can maintain their lifestyle. A life event such as divorce also tends to shorten people’s horizon as their outlook in life often lacks clarity. The implications from an investment standpoint are primarily a temporarily diminished desire to take on portfolio risk and a shortening of time horizons. In English this translates to searching for greater certainty and not looking too far out. As wealth managers our first goal is to first understand the client’s circumstances and needs once the divorce is finalized. Our P.R.O.AC.T.I.V.E process serves as the framework for initiating and exploring client concerns and issues. Our P.R.O.A.C.T.I.V.E approach is designed to make your money work for what you deem important. 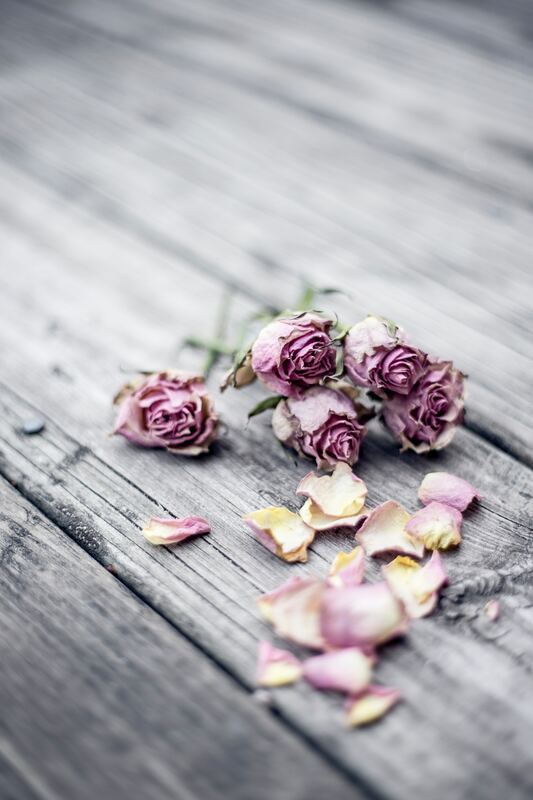 Divorce is difficult and transitioning to a new beginning takes time. As you adjust to your post-divorce life your financial assets will also need to be managed consistent with the new you. At Insight Financial we are experts at guiding you through this difficult adjustment period and transition into a new beginning. To read our full report on our approach for managing your post-divorce investments please click here. Our wealth management team at Insight Financial Strategists is ready to help you in your transition. To set up an initial consultation please book an appointment here.